talks, music and community connections. 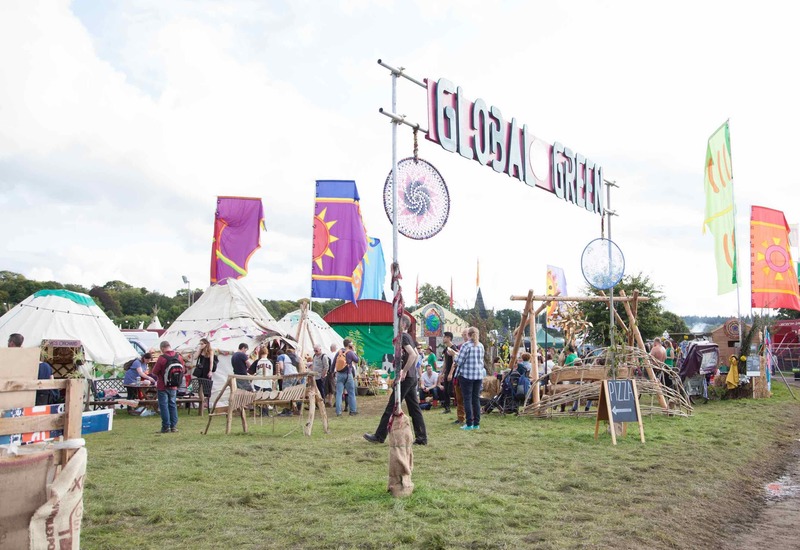 Global Green is the conscious heartbeat of the Electric Picnic, where you’ll find activists, artists, makers, musicians, foodies, poets and over 30 groups from across Ireland. 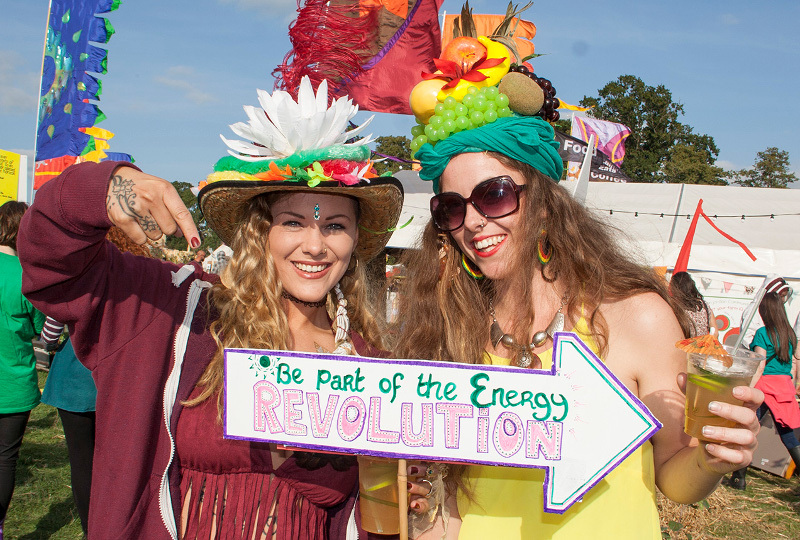 Join us on the green edge of the festival to experience brilliant new music, eat glorious local food and encounter transformational ideas and conversations for a healthy and resilient future. At the heart of the Global Green is the Village Hall. Here we serve up an eclectic mix of live music, dance, DJs, and talks. Some of our previous highlights include, Saint Sister, Lethal Dialect (aka Paul Alwright), Hozier and even Michael D Higgins! 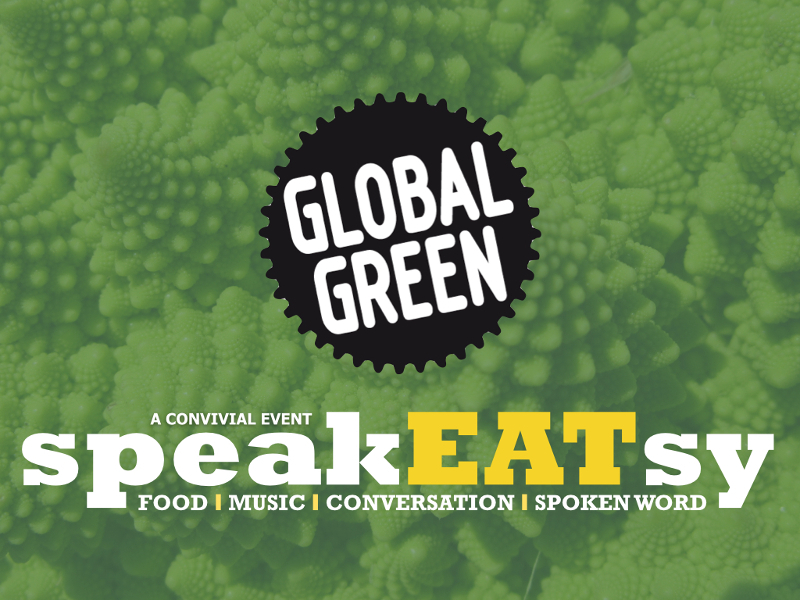 Eat, get inspired and add your voice at the SpeakEATsy tent, a solar powered heady brew of food, poetry, compelling conversations and music. Experience a rich programme of talks and discussions focused on climate action and the Global Goals, peppered throughout with spoken word and music. Rest your weary roots and shoots in our community garden, which surprises and delights with its eclectic collection of art and snug seating for you to watch the festival go by. In 2019 the garden will be inspired by the Global Goals, bringing perennial issues of concern into our awareness. Over 30 organisations - including Irish Aid, Concern, Leargas, Self Help Africa, the Tipperary Energy Agency and Young Friends of the Earth, highlighted topics such as sustainable development, community energy, solar, bicycle culture, up-cycling and reuse, climate action and community gardening & agriculture, all framed in the Global Goals and climate response. Cultivate, Cloughjordan Ecovillage, WeCreate FabLab, Community Gardens Ireland, Night Orchard, Irish Seed Savers, GROW Place Ireland, Riot Rye Bakehouse & Bread School, the Market Kitchen, Revel Coffee, Irish Aid, Concern, Self Help Africa, Leargas, Muintir Na Coille, Young Friends of the Earth, Tipperary Energy Agency, Community Power, Dayse, Glas Energy, 3cea - Three Counties Energy Agency, Electricity Exchange, Green Side Up, OURganic Gardens, Dublin Community Growers, East Clare Community Co-Op, the Urban Farm, Foodture, Cloughjordan Community Farm, Eve’s Orchard, Dublin Cycling Campaign, The Irish Cycling Advocacy Network, Like Water, Near-Health, and the Banba Theatre Company. 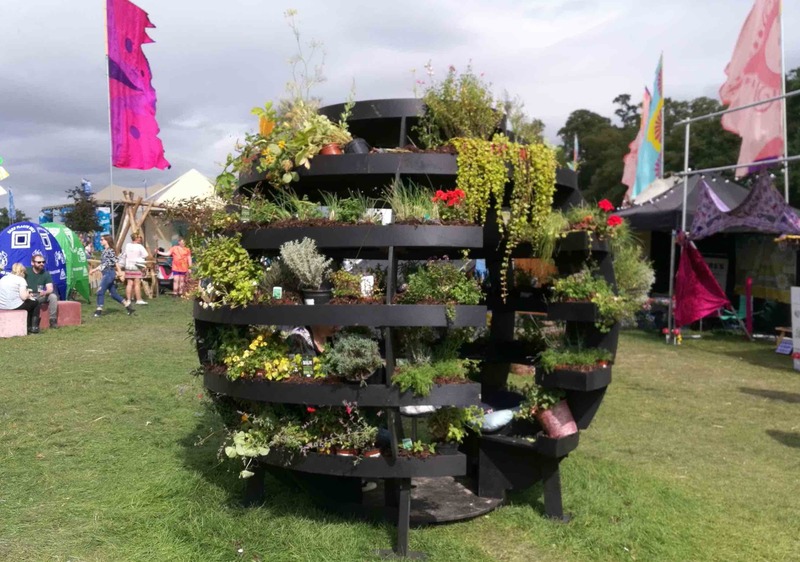 Cultivate, the collective based in Cloughjordan Ecovillage, will once again be coordinating the Electric Picnic’s pop-up eco-village of activists, artists, makers, musicians, foodies and poets. 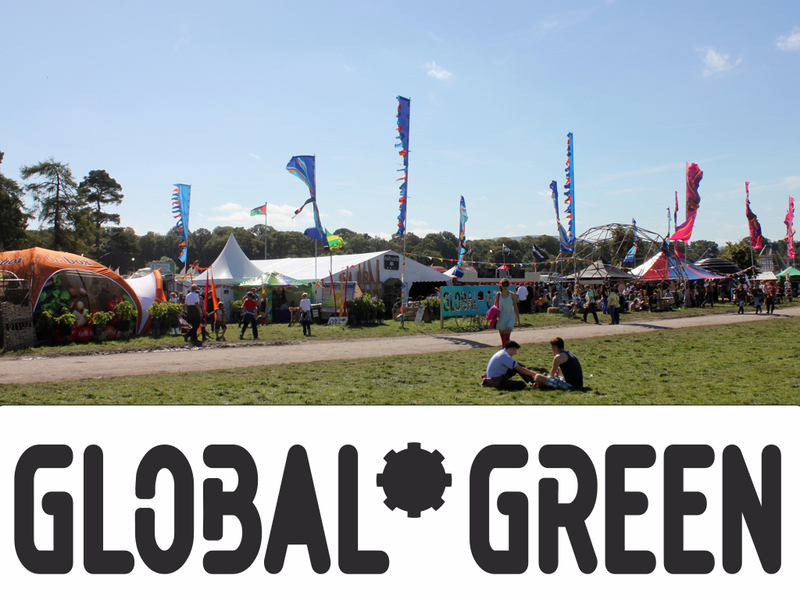 Global Green is the conscious heartbeat of the Electric Picnic; a cutting-edge nexus of green ideas and connections. Experience brilliant new music, eat great gloriously local food and encounter radical ideas and activities for a community-led future. 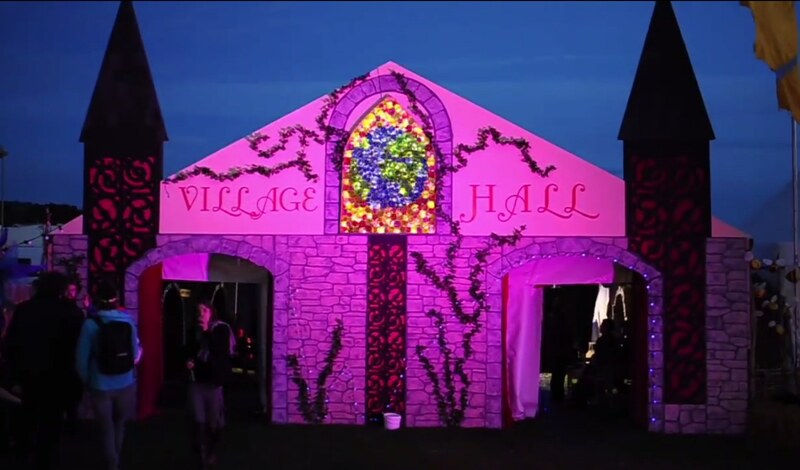 In the Village Hall we will be keeping a finger on Ireland’s musical pulse with atmospheric, electronic, acoustic and folk music by day and house, reggae, global and hip-hop beats by night. This year we introduce R&B newcomer Charlotte Headon’s soulful laidback style and Irish/Canadian Electronic Dark-Pop duo Honey Beard. From the authentic folk songstress Hanora George to our favourite Friday party starters RobotRock bringing you live dance anthems. From the movie Sing Street’s very own Zamo Riffman’s acoustic hooks to DJ Teknonotice’s Electro Swing, NuJazz & World Beats. We’ve even got an interactive dance performance SLSD from Cork’s own No Kissin’ Ensemble, an interpretation of Children of Lir and spoken word from Scene of the Rhyme featuring Ireland’s most talented wordsmiths. And don’t miss our now legendary Sunday Night Shakedown, our closing party in the wee small hours with Anacalypsis, Pressure Drop Sounds (Ollie Moore and Paul Ryan) and Suzanarchy. So keep it locked on the Village Hall. Get comfy and get animated in the Convergence Cafe with Ireland's leading change-makers and activists. Teas and cake will be served, while discussions and talks take place on global and local themes. Experience kirtan, comedy, spoken word and chilled-out tunes. Get inspired, engaged, and add your voice to the conversation. In the early evening a heady brew of food, poetry, compelling conversations and music make up the SpeakEATsy. This convivial experience is far more than the sum of its parts, a confluence of influences and inspirations - a full sensory and intellectual workout! On the green a colourful cadre of organisations give us theatre, African drumming with INIKÉ, rustic games, and stalls. Our community garden, resplendent with art and surprises, plants seeds for positive social change and inclusion. Conversations, demonstrations, the Potato Box Talks and the Incredible Edibles will all happen in Agri-Aware’s Red Shed. The best way to start the day? Shake off that fuzzy head and stretch out the body with Global Green’s kick-off yoga session – then hang out on the green for the best coffee and breakfast on site. Whether you want to dance, eat, get involved, inform yourself or just chill out, this green oasis is a must-visit over the festival weekend. Getting to know the Global Green community with short presentations from the activists on the green. Volunteering abroad, WWOOFING or getting involved in a community initiatives, there are many ways to participate. Irish Aid, CGI, Transition Ireland Northern Ireland, and other Global Green stakeholders outline the opportunities to engage. 13.00 ECOSYSTEMS OF INNOVATION - What is it like living in an ecovillage? A conversation with Cloughjordan Ecovillage residents and Albert Bates, a founder of the Global Ecovillage Network and life-long resident of The Farm, a creative collective begun by hippy cosmonauts in 1971. Connect to source through sound and movement. Finding inner fulfilment and happiness. 14.00 THE COMMON GROUND CONVERSATION - What are Open Seeds and Living Soils? Hosted by GROW OBSERVATORY this discussion will feature representatives from People 4 Soil, the Irish Seed Savers, Agri Aware, Community Gardens Ireland, Cloughjordan Community Farm and Carraig Dulra. Facilitated by Anja Murray the conversation explores the relationship between people, healthy soils and the need to save seeds. Get a taste of the culture of West Africa with this drum workshop with Shiv Ross. A fun introductory workshop where each group will learn how to play a traditional rhythm from West Africa...no experience necessary, open to everyone! Introducing the Sustainable Development Goals and listening out for stories of community-led initiatives here in Ireland and internationally, that address and bring the goals to life. Hosted by Cultivate with Irish Aid, Self Help Africa, and Transition Towns Ireland & Northern Ireland. 16.00 FULL CIRCLE INNOVATION - What is the potential of the circular economy? How can community gardens and farms help people think more about locally produced food and create livelihoods? A conversation with Community Gardens Ireland, the Urban Farm, Cloughjordan Community Farm, Transition Towns Ireland & Northern Ireland, Moy Farm and Agri Aware. Senator Grace O'Sullivan and Dr. Easkey Britton in a conversation about social wellbeing and the state of the planet. Senator Grace O'Sullivan is environmentalist, best-known for her high-profile activism during her 20-year career with Greenpeace is also a former Irish surfing champion. Easkey Britton, founder of Like Water, is 5 times Irish surf champion, big-wave surfer and marine social scientist. Davie Philip and Ollie Moore from Cloughjordan Ecovillage host this convivial session where we share food & conversation, with music and spoken word. The highlight of this event will be the tunes from the Savage Jim Breen, Mel White and our guest poets and some very special guests discussing the topic of local food and community led innovation. Bring some food to share and join in. The master storyteller and award winning slam poet, Fergus Costello brings new tales of wonder as well as a collection of his greatest hits. Recharge with music and craic. Stretch out and relax into your long day ahead. 13.00 BIKE REVOLUTION - How do we bicyclize our cities, towns and villages? Damien Ó Tuama, Róisín Garvey and others from from Cyclist.ie explore why we need a bicycle revolution in Ireland and how we bicyclize our cities, towns and villages with Matt Mills, one of the first UK Mountain Bike Champions. Most of Ireland’s natural habitats — even our ‘wildest’ mountain ranges and boglands — are managed primarily for human use. Recently there has been a lot of interest in the new idea of 'rewilding' our ecosystems, and debate about whether we could restore our ancient forests and reintroduce lost species like wolves. Author and journalist Lenny Antonelli will introduce the topic, followed by a conversation hosted by ecologist and TV presenter Anja Murray with Lenny and Suzie Cahn from Carraig Dúlra. Making a shift to a clean, secure energy future where citizens and communities are active participants in the generation and distribution of renewable energy is underway. 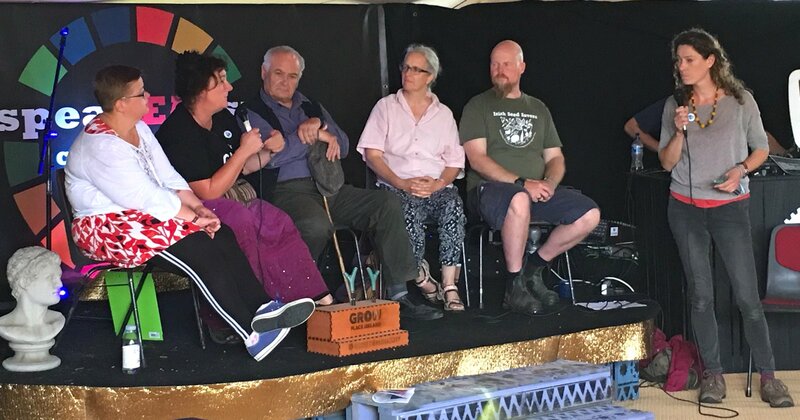 Colm Byrne - DaysE, Cara Augustenborg - Friends of the Earth, Alan Jackson - Tipperary Energy Agency and Oisin Coghlan - Friends of the Earth, discuss the barriers and opportunities of community power with Davie Philip (Cultivate/ Cloughjordan Ecovillage). 17.00 COOL LAB - Are there solutions to climate change? Albert Bates, Chief Permaculture Officer for eCO2, a COOL DESIGN services company discusses climate stabilization with Senator Grace O’Sullivan. A convivial session where we share food & conversation, with music and spoken word. Highlights will be the tunes from the Savage Jim Breen, Suzanarchy and our special guest poets Mel White, Fergus Costello and Richard Brennan. Big wave surfers Easkey Britton, Fergal Smith, Senator Grace O’Sullivan, the first female Irish surf champion, and Peak Surfer Albert Bates, the US Permaculture designer will be in conversation with former British professional skateboarder Davie Philip on the topic of community resilience and social innovation through the metaphor of surfing. Bring some food to share and join in. 21.00 BREDA LARKIN - The stink of silage off a her! Comedy from Breda from the boghills of Ballinasloe with her magic cloak and bag of jokes. With “the 2 Johnnies” at the Red Shed, how fast can you hand milk the cow. How fast can you make a hay rope, or throw a welly?! Dance to some farmtastic tunes all while making your own butter! “Breaking the Bread” with the Merry Mill etc. Chef Rory O’Connell, Farrell Family etc. How to germinate you’re very own plant at the festival! 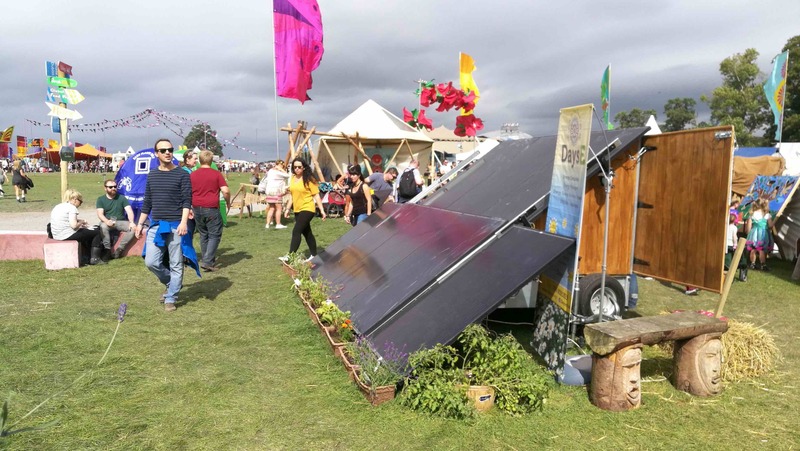 -- Electric Picnic’s pop-up eco-village of activists, artists, makers, musicians, foodies, slam poets and hackers, brought together by Cultivate, the sustainability collective based in Cloughjordan Ecovillage. 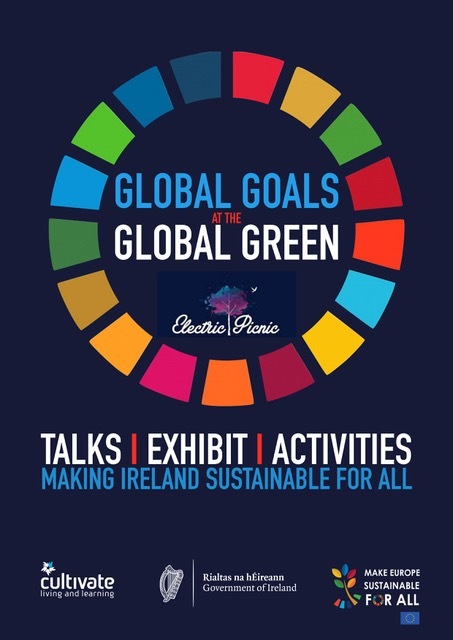 Now in it’s ninth year, Global Green is the conscious heartbeat of the Electric Picnic; a cutting edge nexus of green ideas and conviviality, showcasing new musical acts, offering great local food and introducing radical solutions for a future that works. We keep a finger on Ireland’s musical pulse offering daytime electro, acoustic and night-time dance beats. Your food needs are covered with our Local Food Project; it’s yummy and sourced from within a 50-mile radius of Cloughjordan. With spoken word for social change, engaged art and discussions, Global Green is accelerating the transition to a low carbon and resilient future. Shake off that fuzzy head and get your festival day underway with Global Green's famous morning kick-off yoga session and then hang out on the green for the best coffee and breakfast on site. Whether you want to dance, eat, get involved or just chill out and listen, this green oasis is a must-visit over the festival weekend. Cultivate is a national NGO managed by the Sustainable Ireland Cooperative. We designs and facilitate learning journeys, hosts training in community resilience and offers courses in Permaculture and innovation. Providing education, training and awareness-raising in environmental issues, traditional skills, sustainable living and nature conservation. Encouraging and facilitating the conservation, protection and appropriate management of hedgerows. Campaigning for biodiversity, sustainability and thriving green economy. Provides a range of digital fabrication equipment in the FabLab and unique learning environment offering workshops and courses at many levels. A space for makers in Limerick city centre promoted by the School of Architecture, University of Limerick. The space offers cultural, educational and research programmes on digital fabrication, bridging the gap between these technologies and creatives from all disciplines. Ensuring the value of our heritage is enjoyed, managed and protected for the vital contribution that it makes to our identity, well-being and future. Cloughjordan Ecovillage is a neighbourhood of some 100 adults and 35 children living in 55 low-energy homes in the Irish rural town of Cloughjordan. Through its renewable energy system, its well-insulated houses, its community farm, its green enterprise centre and its vibrant community, is a model for the transition to a low-carbon society. An exhibit of stuff made, designed, developed, baked, cooked, fired, sewn, thrown, written, cut, printed, grown, harvested in Cloughjordan! See the community notice board for opportunities to visit Cloughjordan. Using biodynamic and organic farming methods, Cloughjordan Community Farm is a member-owned, community-supported agriculture project. Collective made up of young food enthusiasts from Tipperary led by Country Choice & Larkins - Sourcing produce ingredients from interesting places to make delicious, sustainable festival food. A leading voice for organisations that want Ireland to be a world leader in efforts to bring about global justice. A network of national environmental organisations. IEN supports the capacity building and funding needs of member organisations, all of whom are involved in one way or another in the well-being, protection and enhancement of the environment. A sustainable communities initiative developed by 51 local newspapers throughout Ireland. Committed to creating and actively fostering a culture of bread without the use of industrial additives or chemicals. Provides the platform to raise funds for positive impact energy projects, through energy saving measures. Presents a unique travelling show bringing information on plants and their uses to the general public at festivals and events. Contemporary Irish artist exploring the unseen world of energy and emotion through painting, sculpture and installation. Works with smallholder farmers, tackling hunger & poverty through food production & rural enterprise. The organisation will bring ‘#COP-on’ to this year’s Picnic, inviting festival goers to take part in a fun, video project highlighting the issue of global warming in Africa, and inviting participants to contribute, in the lead up to the COP21 climate summit in Paris, this December. Working together to conserve Irish Biodiversity. Cloughjordan EcoVillage hosts a compost demonstration site which is part of a national network of demonstration sites maintained by the Stop Food Waste Campaign. The site provides comprehensive information and education about the food we waste and how to prevent this through composting. Little Bigtopis a theatre company, based in Cloughjordan, North Tipperary, making work specifically for young and preschool children. Shows are interactive, highly visual & playful. Making greener living simpler and realistic. A starting point for going green, based on information and advice you can trust. A community made up of different cycling initiatives from across Ireland. Campaigning for environmental justice and sustainability. And believe in sustainable development - meeting the needs of the current generation without compromising the ability of future generations to meet their needs. A virtual connection for community gardeners, providing support and promotion, sharing resources and learning, and exchanging ideas. Urban Agri-Cultural Projects for Education and Food Production. Group of community volunteers growing organic, native fruits and vegetables, as well as managing a native tree orchard to preserve our Irish heritage. 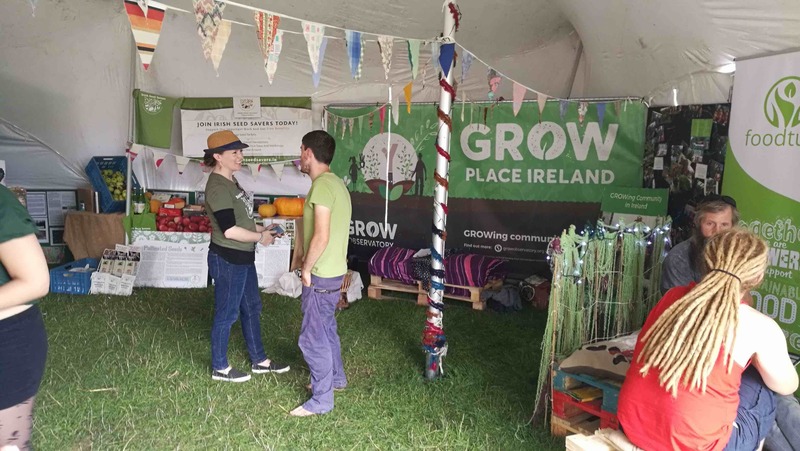 Built on the established Birr Tidy Towns initiative, Birr Community Growery acts as a Community Food Hub hosting a variety of activities, programs, and services. This is a one of a kind healthy probiotic fermented soda bar, handcrafted from a restored and renovated 160 year old wooden Irish Pony Trap. Relax at the rustic covered seating and enjoy a Kombucha or Kefir non-alcoholic drink. The My Goodness team will be promoting health and vitality over the weekend and hosting workshops on fermentation at the (h)Edge School. Provides affordable and flexible loan finance on manageable terms to community, voluntary and charity organisations. Innocent and Monday - An eclectic blend of acoustic jazz/ folk. The musical vibe stretches from 1920’s Paris to the present day, making some interesting stops along the way. Deetrich - Dee Doyle, former lead singer and songwriter of Kilkenny band Dali and member of The Whiteliars, has spread her wings and taken on a solo career. Deetrich writes melodic songs that draw from old rock and roll and country but adds a pop sensibility. Kevin Clarke (DJ)- Radio DJ at Phever (electronic dance music) and The Wright Venue. most articles, he is not from Cork or Dublin! Former Child Model - Brand new Electro pop brainchild of sound designer/composer Mark Murphy and DJ/visual artist Mo Kelly. Elektrobank - Alternative Dance Classics and Big Beat Anthems elektro-fied by a 5 piece band. Anthony Collins - Anthony Collins is a Galway based DJ with an ear for a Disco tune. He’s been spinning the circuit for several years and plays strictly vinyl. He reckons it sounds much better. If it does or doesn’t his tune selection is always spot on. Saint Sister - Their music draws from early Celtic harp traditions, 60s folk and electronic pop to create ‘atmosfolk'—a mix of soulful vocal harmonies, dreamy synth and electro-acoustic harp. Glimmermen - Urban Post-Rock Blues band Glimmermen are a stripped-down unit that take rock and roll back to its primitive core. Hauer - Haüer is an electronic musician from Dublin who makes cinematic synthwave with a darkside. Zaska - Zaska has found a way of channeling the complex and unconventional through a feel-good blend of Funk, Rap and Soul reminiscent of Steely Dan, The Roots and Frank Zappa. The Expert - After a decade of creating groundbreaking hip hop tunes as part of duo Messiah J & The Expert, it's time for beat commander and music master The Expert, to start a brand new chapter of his very own. Gin N Juice - a hip-hop, funk and dance four-piece powerhouse who’ve put together something completely different for crowds screaming for more than just luke-warm radio hits. Re:Raw - Dublin DJ/producer/drummer/bassist now living in London. Signed to Arcade Pony and part of Punx Soundcheck. Elephant - the musical vehicle of Dundalk based multi-instrumentalist Shane Clarke, offers an intriguing show of intimate acoustic guitars and subtly looped layers tied with colourful melody and harmonies. Black Band Folk - Black Bank Folk, whose musical upbringings can be seen in the songs they love to play and the music they endeavour to write, aim to tell stories through their music. SAORLA - Gypsy trailer park Irish traditional folk music band, 5 piece from Sligo. A mix of old traditional music with modern guitar & beats. NASC ANAMA - A guided sonic voyage blend of African rhythms & tribal tech/trance designed to uplift and inspire so that we are enabled to share in the collective consciousness in a spiritual, joyful and healing way. Boudoir Sessions (feat. The Swell Berries) -Vintage dance party - swing, calypso, rockabilly, jump blues all 1920s-1950s - with Boudoir Boys Ollie and Paul and swing cabaret band the Swell Berries.